The Renaissance was a defining period in history — a time when artistic, social, scientific, and political thought all turned in new directions. The Renaissance (which is French for “Rebirth”) began in Florence, Italy in the late 13th century and continued until the 17th century, by which time it had spread to the rest of Italy and Europe. The Renaissance spirit was one of rejuvenation, enthusiasm, and experimentation. It is perhaps in art that this bold new spirit reached its sharpest formulation, in particular in the works of geniuses such as Leonardo da Vinci and Michelangelo. Whilst the Renaissance is long gone, it is still possible to embrace its spirit. Indeed, you have probably heard a person referred to as either a “Renaissance man” or “Renaissance woman”. Here then are a selection of the most important characteristics of the Renaissance spirit, with some simple suggestions for how you can embrace it and suggestions for further reading. One of the most important ways in which the Renaissance spirit was expressed was by the intellectual movement called humanism. Previously, during the Middle Ages, scholars had been guided by the teachings of the church, and people had concerned themselves with actions leading to heavenly rewards. During the Renaissance, humanists broke free from the mental strictures imposed by the church, which lead to a spirit of free inquiry and a new confidence in the possibilities of human thought and creations. In this modern age, you can exercise independent thought by questioning authority and putting yourself in a state of open-mindedness. For just one small example of how to think independently, I suggest you read Here’s a Tip: Start Thinking For Yourself. Renaissance humanists returned to the writings of ancient Greece and Rome, known as the “classics.” Here they rediscovered writings on scientific matters, government, rhetoric, philosophy, and art. They were particularly influenced by the emphasis these writings placed on man, his intellect, and his life on Earth. Apart from returning to the classics by the likes of Plato and Aristotle, you can capture the spirit of the Renaissance by reading the “modern classics”. If you would like some suggestions, I highly recommend reading 10 Ways to Improve Your Mind by Reading the Classics (in particular the comments from readers). Invented in 1445 by Gutenberg, the printing press played a major part in the spread of the Renaissance spirit throughout Italy and Europe. Prior to this invention, literacy and books were the preserve of a tiny elite since making a book required great effort by hand and took a significant amount of time. The printing press changed everything, unleashing information to the masses and fostering improved literacy in the middle classes. In many ways, the printing press had the same revolutionary affect that the internet has had on the Information Age. Today, we can embrace the Renaissance spirit by utilizing the vast information resources that now lie at our fingertips. For just one example of how you can do this, read How to Educate Your Online. The Renaissance Ideal can be understood as a person who was devoted to the development of his or her capacities to their full potential, both mentally and physically. Typically they were an accomplished athlete and could speak several languages, play a musical instrument, and write poetry, amongst other things. 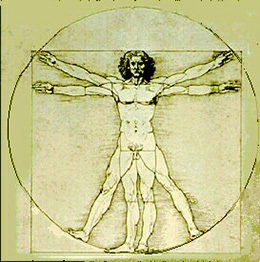 Leonardo da Vinci is often described as the archetype of this Renaissance Ideal. Apart from being considered as one of the greatest painters of all time, Leonardo was an accomplished scientist, mathematician, engineer, inventor, anatomist, architect, musician, poet, and writer. You can pursue the Renaissance ideal by approaching life with a curious, creative, and determined attitude. Aim to excel in a number of intellectual fields, whilst keeping yourself in fantastic physical shape. If this sounds daunting, a great place to start is by reading How to Teach Yourself a Foreign Language and A Muscle Building Workout You Can Do Without Weights. cant find nothing about michelangelos renaissace spirit.